At Desert Mountain Elementary we are proud to offer a wide variety of valuable programs for our students. Please take a moment to learn more about the clubs and activities available below, and give us a call at (480) 987.5912 if you have any questions. We look forward to hearing from you. 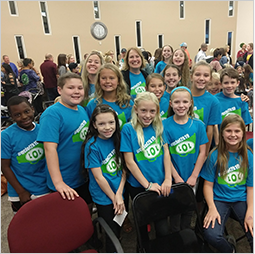 We are proud to support a student government organization that serves as the voice of Desert Mountain Elementary. Officers that are voted in by the student body include a President, Vice-President, Secretary, Treasurer, and Council Representatives. Student council focuses on planning school wide student activities, social events, and community service projects. Third through fifth grade students meet with the principal on a regular basis to discuss student concerns, suggestions, or issues. 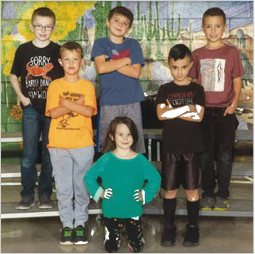 DME offers a wide variety of after school enrichment courses that include cheese club, chess, 3-D printing, bounce boot camp, pom/cheer, running club, yoga, and pottery painting. Students learn the basics of distance running and building endurance through a variety of fun activities and games. Running club culminates with a district wide running meet. We are proud to say that DME students have taken home the championship trophy for the last two years! LOL partners with our student council. This group consists of 4th and 5th grade students. They help plan school wide activities, social events, and community activities. We encourage you to visit the Community Education page on our school district's website to register and learn more about our fun enrichment classes.